August 8, 2018 – Total Access Communication Public Company Limited, or dtac, announces that the Board of Directors has agreed to submit an application for spectrum licensing for telecommunications service in the frequency band of 1800 MHz to the Office of National Broadcasting and Telecommunications Commission (NBTC), but decline to participate in the 900MHz spectrum auction. 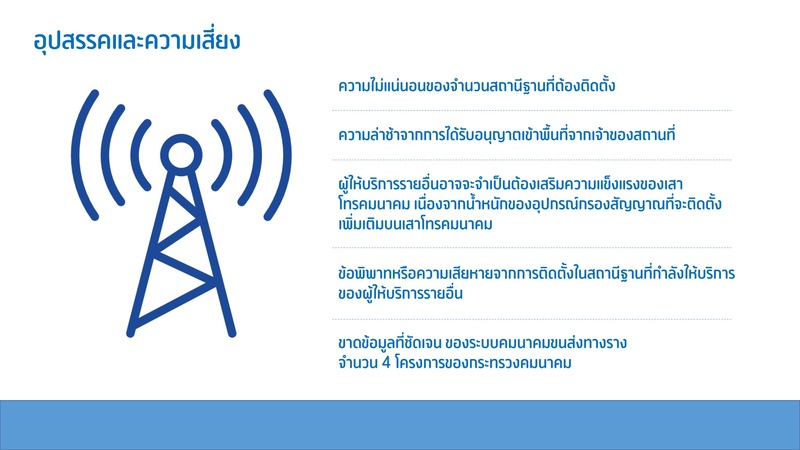 dtac announces that it will not participate in the 900Mhz spectrum auction after the dtac management previously raised the serious concerns over the interference conditions in the final Information Memorandum that would cause operational risks and unpredictable costs. The auction conditions were announced in the Royal Gazette on July 9, stating the winner of the 900 MHz license is solely responsible for any and all interference with the future railway projects. NBTC also reserves the right to reshuffle the spectrum if needed, with the licensee responsible for any additional filter installations. This represents unprecedented level of risk and uncertainty for a winning bidder of the 900 MHz spectrum. “dtac is still in talks with NBTC about the remedy measure to prevent any interruptions to our customers’ usage of their SIMs despite the expiration of concession between dtac and CAT on September 15, 2018. We strictly follow the NBTC notification to temporarily provide services to a large number of active subscribers on 850 MHz and 1800 MHz, whose interests must be protected. It is a joint responsibility between dtac and NBTC to provide them a protection plan for uninterrupted services, in the same manner as NBTC required other operators to do when their concessions expired in the past. In the principle, the protection period will be active until such spectrum is effectively reallocated to new operators.” said Mr. Norling.